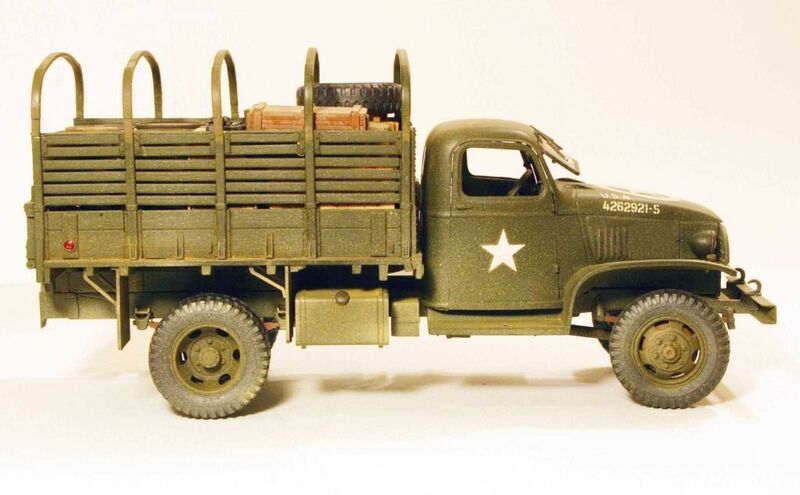 On the heels of the topic "Waiting for a new Famo" are the following remarks about the logic of Tamiya producing new variants of their great GMC Duece and a Half model. I am always amazed at Tamiya in that after a model has matured (the tooling is paid for and sales are dropping off due to market saturation) they don't seem to even think to come out with other possible variants to "re-interest" the market in their kits. A good example I think is the GMC Deuce and a Half. 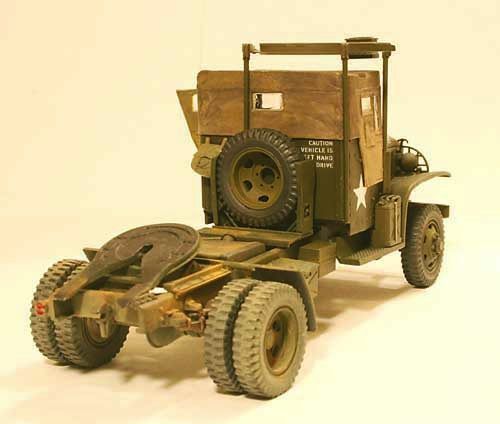 Tamiya produces a GREAT kit of the soft top cab version but now as sales slow down it would be a natural to come out with as an example; the enclosed cab version. 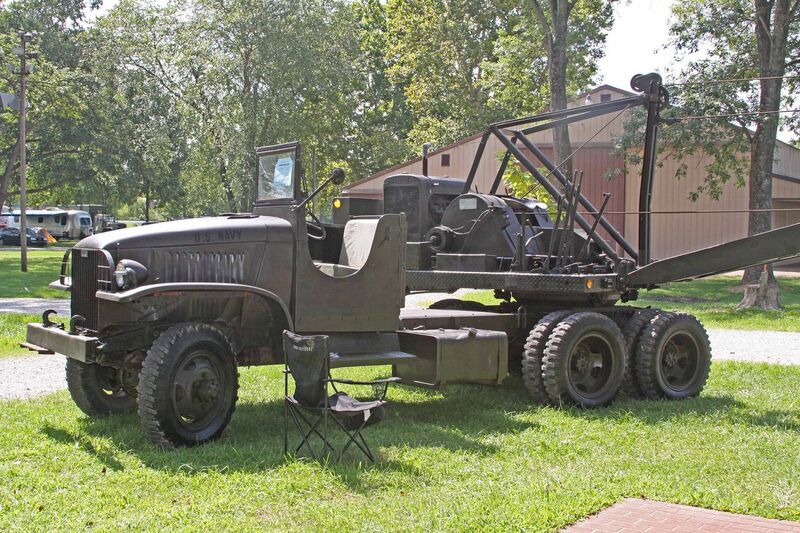 But the list of possible variants would be quite long; a fuel truck (2 styles plus a trailer), a dump truck, an extra long wheelbase version, a short wheelbase version, cab over engine, fire truck, crane, 1 1/4 ton two-axle version, 2-axle semi-tractor (with a large group of associated trailers), etc. The list for the Deuce is almost endless and doing variants would mean minimual front end investment in retooling, yelding a maximum return on investment. Amen, Michael. Although there are a number of aftermarket conversions available now, most are fairly expensive and don't always fit well without some extra work. It would be nice to see some new stuff. I have been working on (Kit Bashing & Scratch Building) an extensive US Motor Pool for some time now. But I get tired of choping frames and stealing closed cabs from old Italeri trucks (though they do stand up well when paired with the new high quality Tamiya chassis and load box. 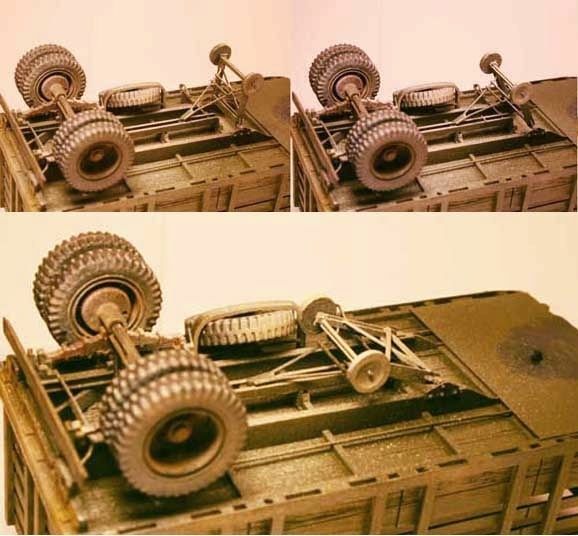 The chassis, driveline and load box are all shortened versions of the Tamiya Deuce, the enclosed cab is from the Italeri water truck, finally the Ben Hur trailer is scratch built. Papa Tamiya you could be selling me all these kits but for some reason that is just not the way you see your relationship with your customers. The trailer landing gear will actually work and can be repositioned. The tractor chassis is from Italeri. I used it because it is a more correct true C-channel frame. The open cab is all Tamiya. 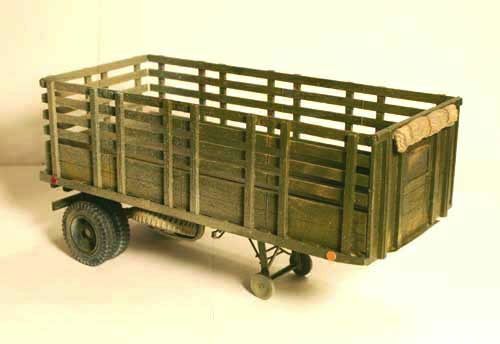 The four ton freight trailer is scratch built except for wheels, springs and the rear beam plus tail lights which are all from Italeri. James - Thanks for the idea about using the logo blocks. I'll be copying that idea very shortly! Yep! Gonna have to get some tire chains and get my trucks out in the snow! 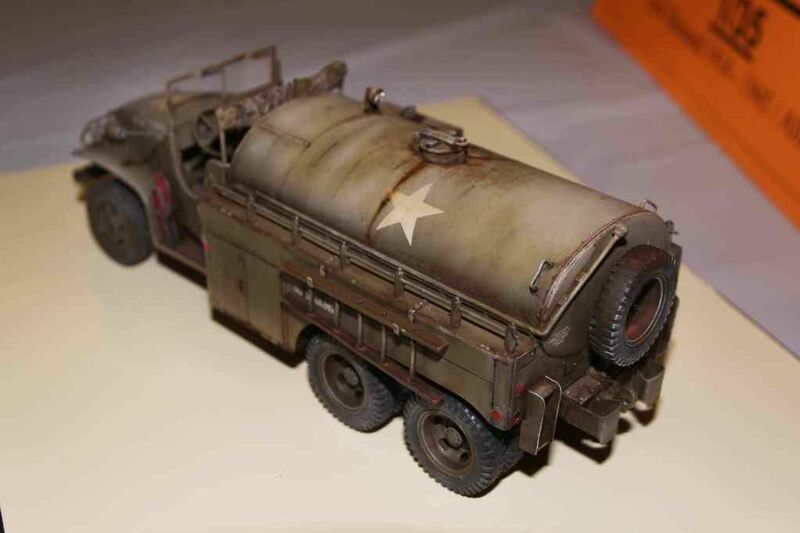 Italeri water truck with Tamiya's newly tooled (8 years ago) open cab. 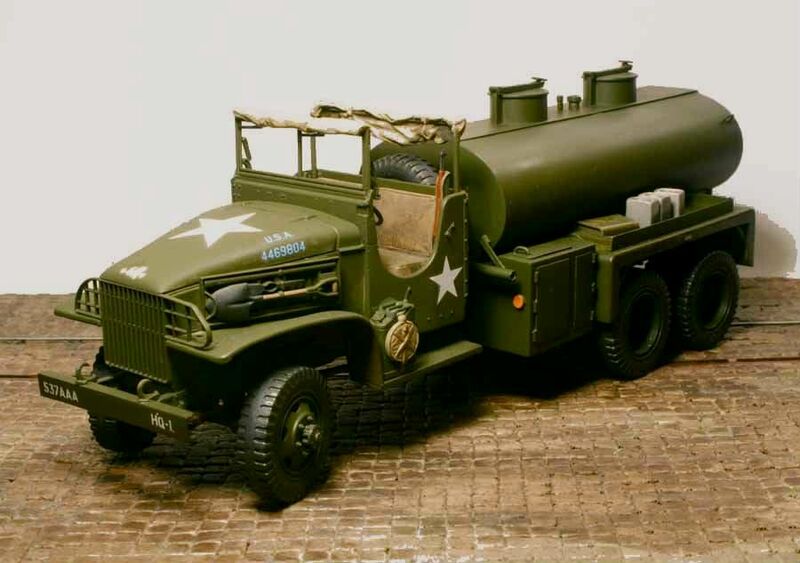 Cannot believe that Tamiya would not make at least one of the fuel trucks! 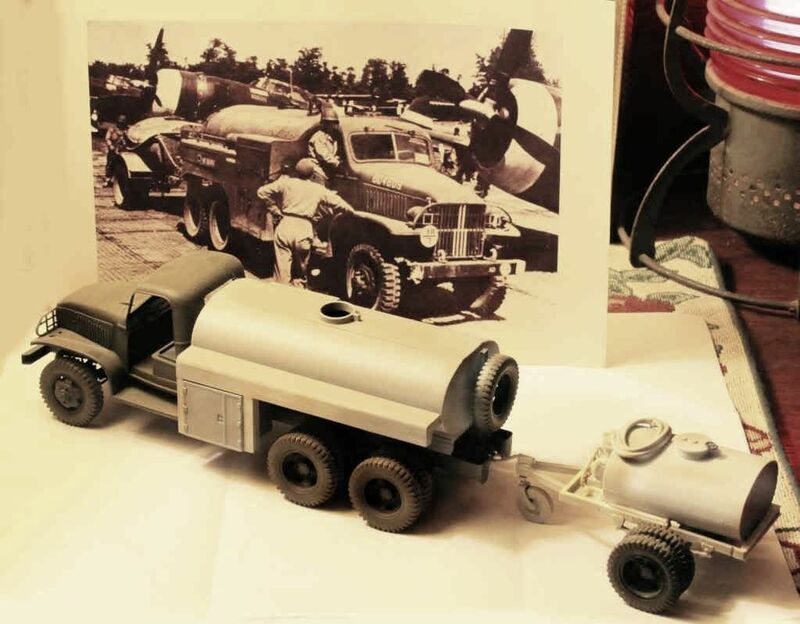 It's just a simple change out from dry load box to fuel tank and the resin fuel truck conversion (the one with the twin tanks)that's out there is hardly worth having. 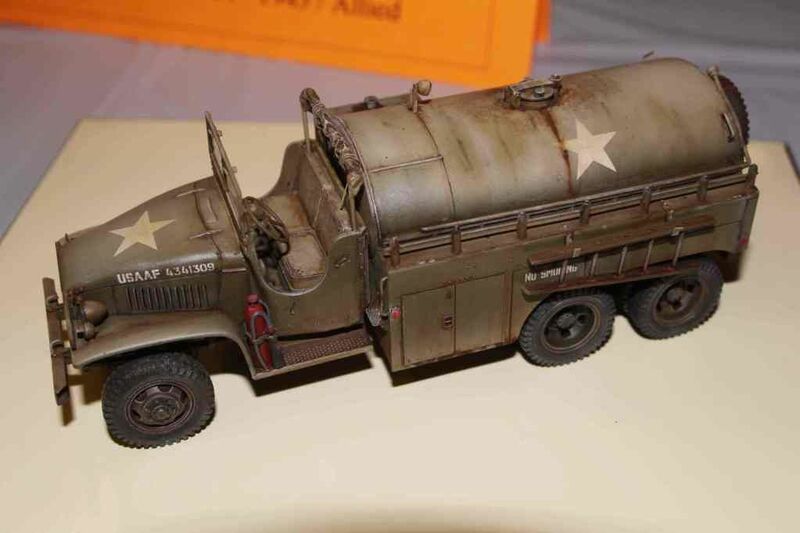 PLEASE NOTE: the resin fuel truck that has the single large fuel tank and the spare tire mounted on the rear is Aces! A real jewel! Highly recommented! Some excellent points (and some brilliant looking models) in this thread. Some additional points. I never did figure why Tamiya only did the soft-top open cab. Although I still maintain that considering the numbers which were produced, U.S. softskins have never been a major priority amongst the manufacturers. 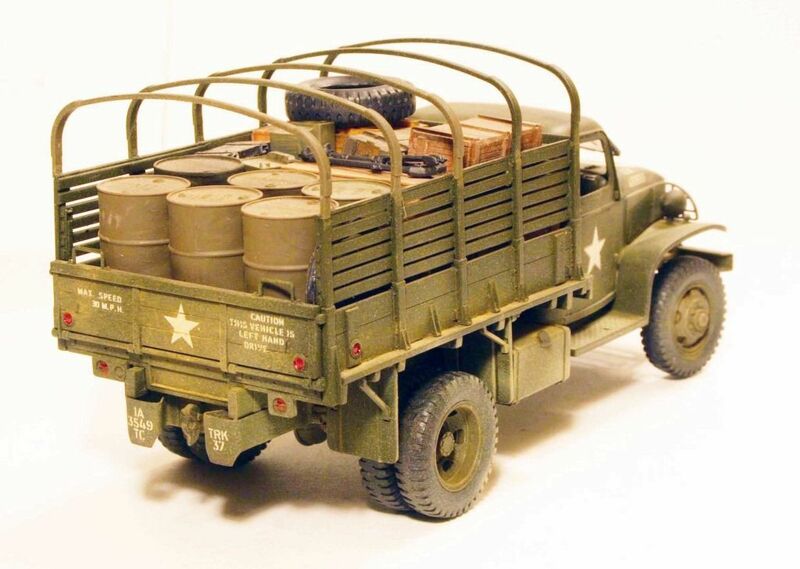 I'm surprised Hobbyboss hasn't done anything different with their GMC. You will have to wait for the conversions to be out, for some time. After all, it took several years for a T-90 to appear in plastic. As soon as it did, everybody with the conversions went to light speed on getting theirs' built. Also, when it comes to Allied vehicles, the demand is rather low. Unless, of course, you are waiting for a new variant of the Sherman. Did not know about the coming White with the Rogers Trailer but that sounds like a must have for me. I was very happy when the Studebaker model hit the market. 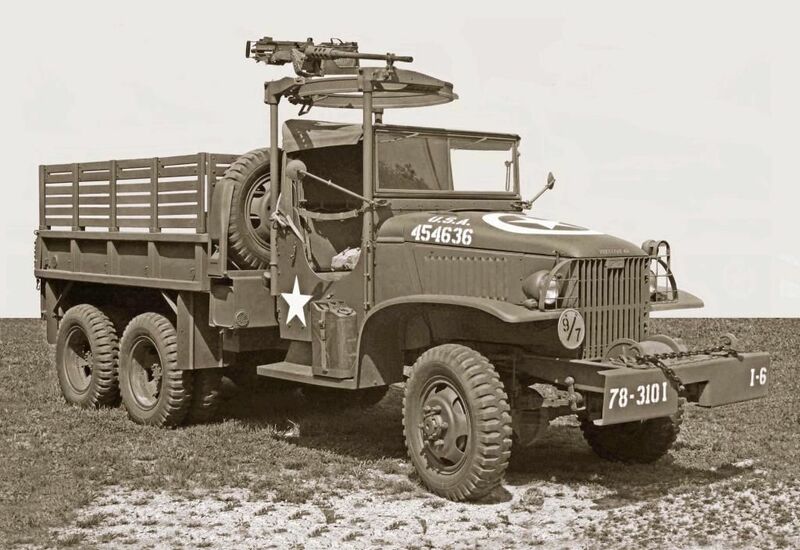 I have always thought it's kind of funny but Studebaker actually designed the open cab for the Army Deuce but since all their trucks were going to the Russians the Soviets didn't like them so most all the studebakers remained closed cabs. 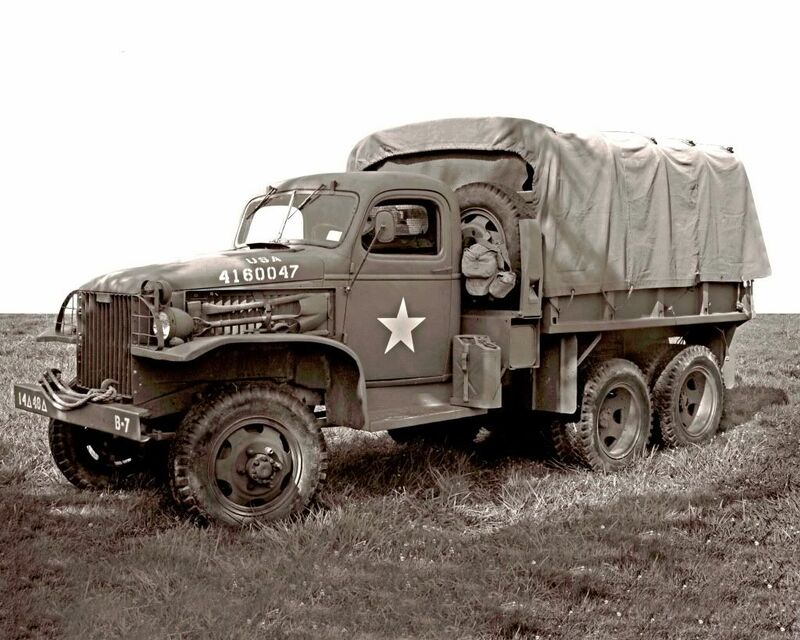 However the Army imposed the Studebaker design for the open cab onto GMC making them use the design. This is the new Tamiya chassis with the Tamiya load box . 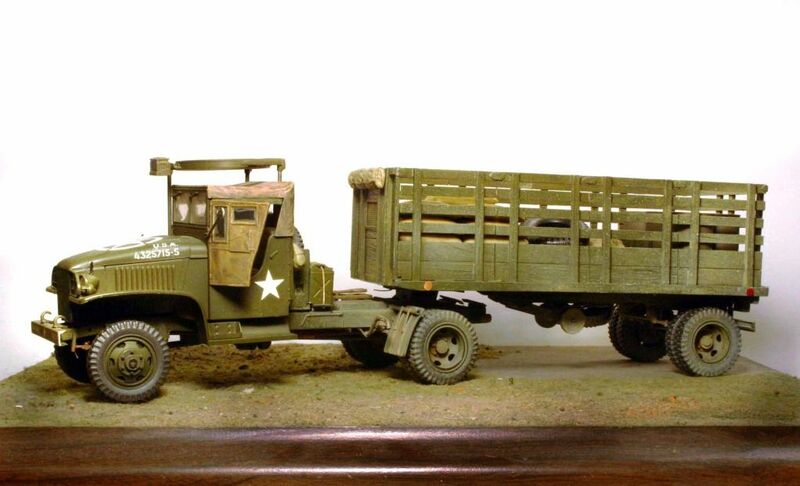 The cab comes from Italeri and the trailer is scratch built. Beautiful CCWK Browser Conversion as done by Chris Toopes seen at the 2010 Cincinnati Hobby Competition. My attempt to scratch build the conversion for Air Corps Fuel Browser. 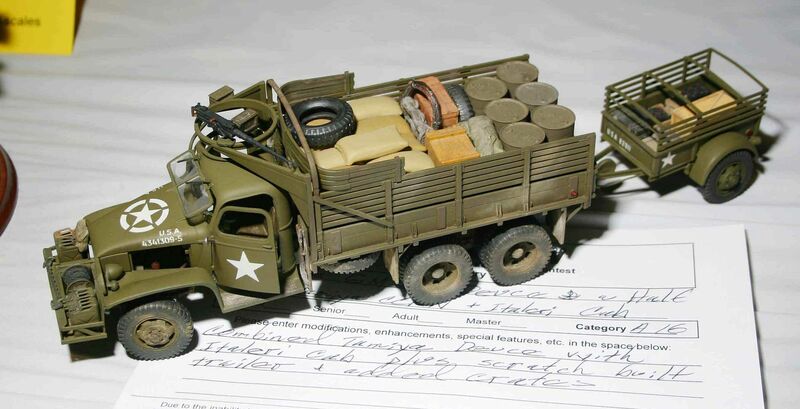 I also did not know HobbyBoss was offering a GMC, how am I missing all these offerings? I make good use of the Italeri and Heller offerings as well as that from Tamiya but the US Motor Pool freaks in this country need some more plastic for their favorite subject! Still completely functional. Do you love that half cab? The spare tire is mounted on the other side where the cab door would be. The cab itself is still all there but there is only one seat and the rest of the space is for misc. tool storage. 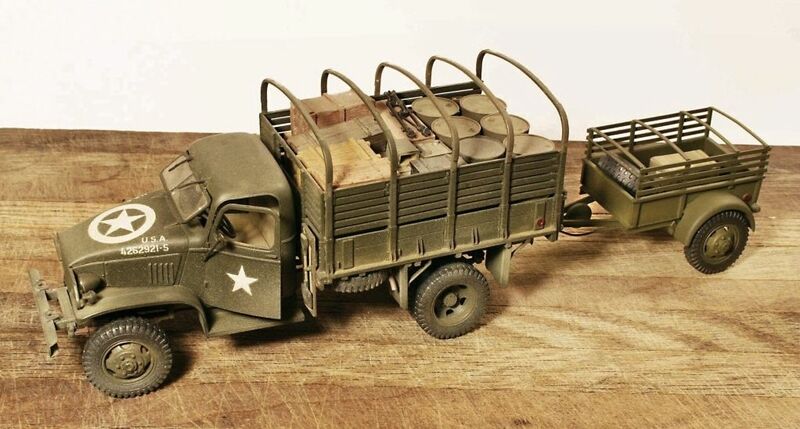 Now isn't this the perfect one of a kind, odd-ball that a model company like Tamiya would just HAVE to make a model of? 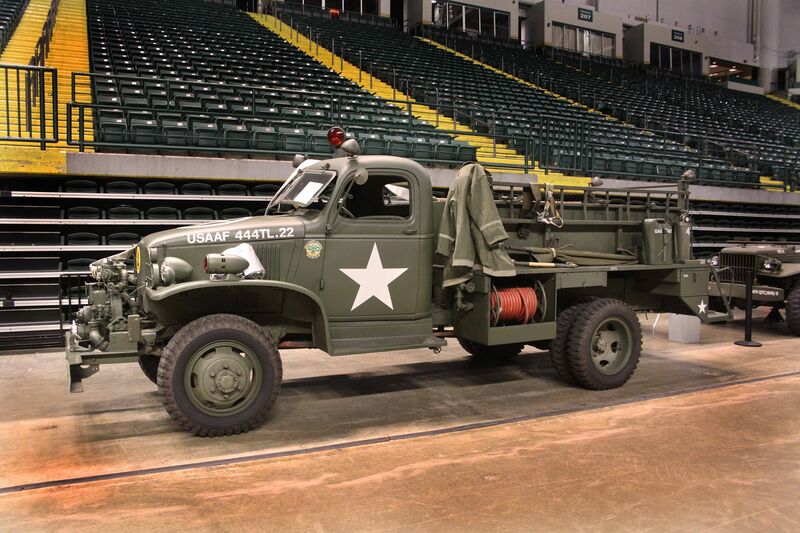 Or my personal favorite the Chevy 1 1/4 ton 2-axle (I call them a Baby Deuce) utilized as a military fire truck. Papa Tamiya - we need one. 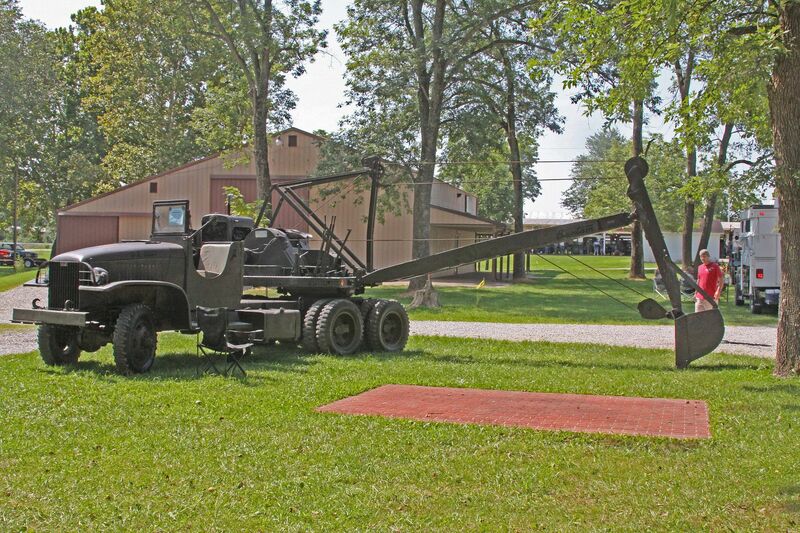 One of my home made "builders photos" of a classic short wheelbase deuce seen at the MVPA show in Evansville in 2009. Again the short wheelbase vehicles are, I think, more attractive but why no model of this one???? ?